480-456-8888 | Want Help Removing A Tree Stump? Once CAM Solutions Has Assessed Your Commercial Property And Has Determined That A Tree Needs To Be Removed, We Will Arrange For Removal And Disposal Of The Tree. It Is Interesting To Note That Cutting Down The Tree Is Actually The Easier Part Of Removing The Tree In Totality. The Difficult Part Of Removing A Tree Is The Task Of The Tree Stump Removal. For Commercial Properties, Tree Stump Removal Is Essential For A Number Of Reasons Including The Simple Fact That Stumps Are An Unpleasant Sight, The Important Fact That They Can Create A Hazardous Situation, And For Aesthetic Purposes As They Take Up Space That Could Be Used For Another Purpose Or To Add Beauty To Your Property. Tree Stump Removal Is Advised If Property Damage Becomes A Problem Due To Spreading Roots Or Any Other Potential Hazards That Are Associated With This Situation. Our Technicians Will Assess The Tree Stumps On Your Property To Determine Which Technique Is To Be Used Most Effectively For The Tree Stump Removal. Knowing The Types Of Trees And What The Root System Involves Is Essential To Tree Stump Removal. Our Experts Can Determine The Best Route For Tree Stump Removal On Your Property. 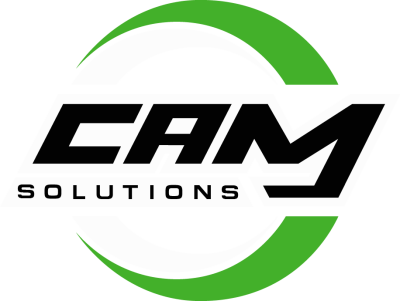 As Your Premiere Professional Commercial Landscape Provider, CAM Solutions Has The Proper Equipment And Can Deliver To Your Property Our Team Of Experts Who Are Professionally Trained To Use This Equipment Along With Proper Techniques That Are Essential In Tree Stump Removal. 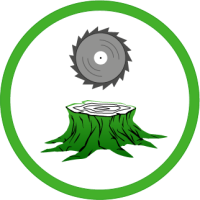 It Is Necessary To Hire Professionals For Tree Stump Removal As A Stump Grinding Machine Has A Wheel Line With Carbide Tipped Teeth That Spins At A Rapid Speed To Allow Grinding Of The Stump Into Small Wood Chips. This Is Extremely Dangerous Equipment If Not Trained In Its Proper Use. CAM Solutions Offers Reliable And Proficient Stump Removal Solutions For Its Customers.